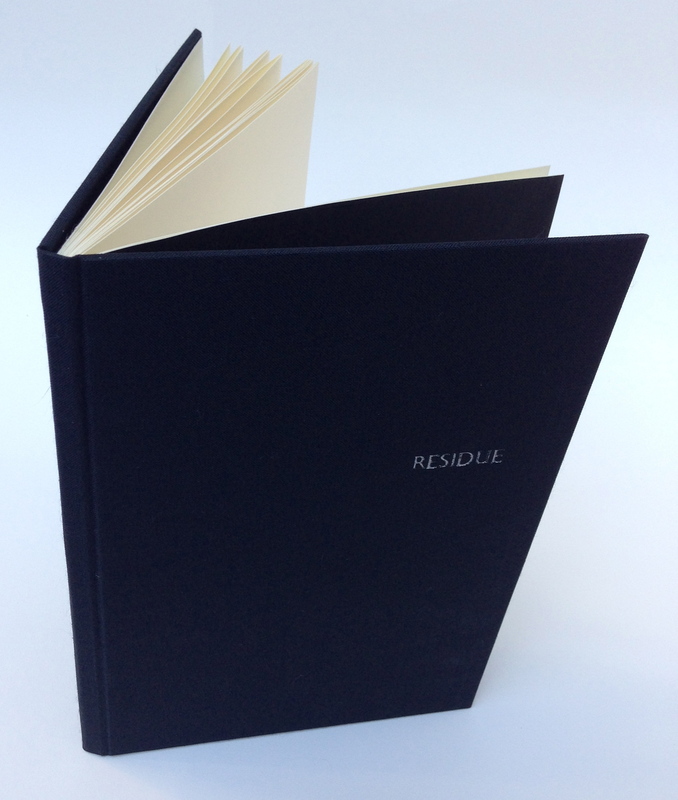 Residue is an artist book that also acts as an object of performance art. 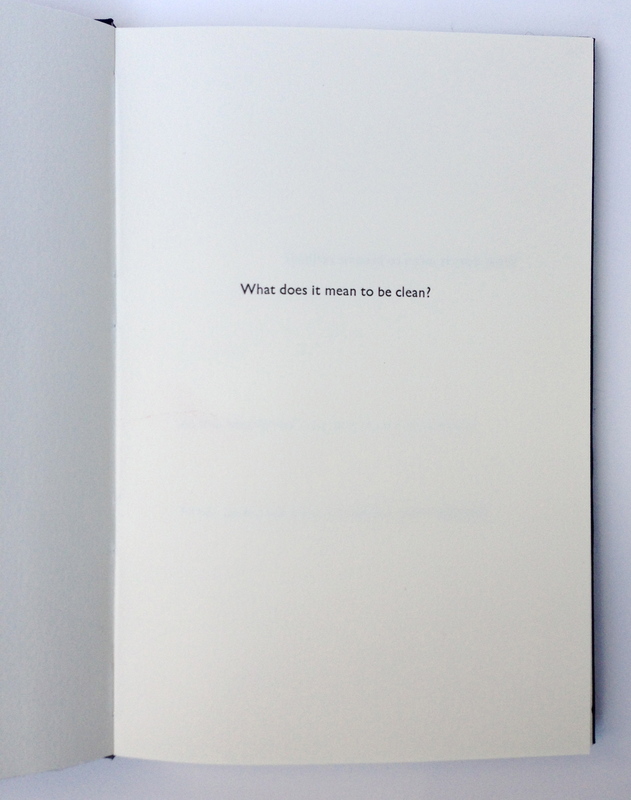 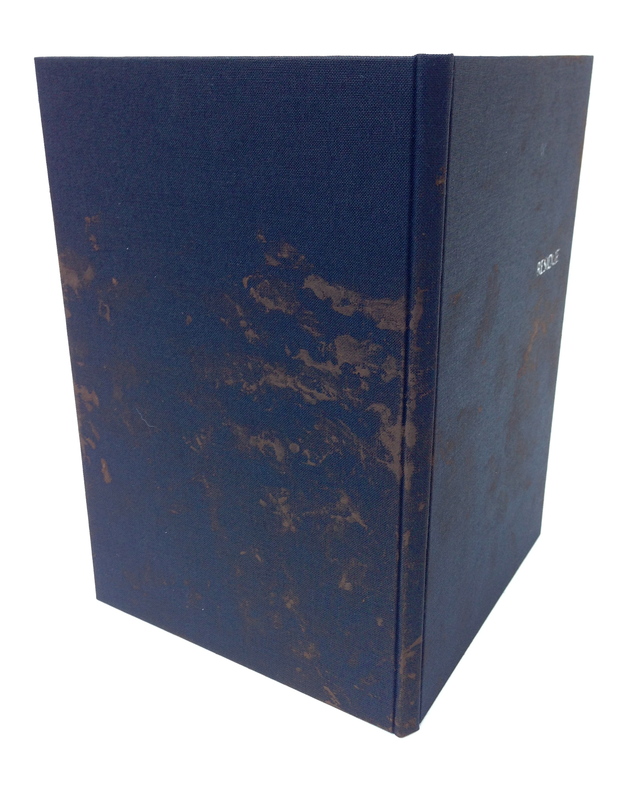 The book is printed on clean, natural white Rives Heavyweight Printmaking Paper. 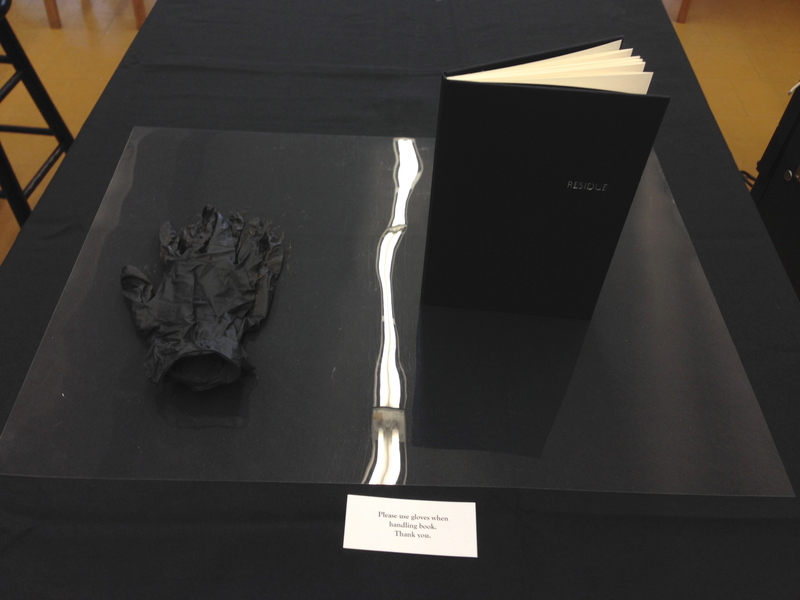 I created this work with a particular intention: while on display in a public setting, Residue‘s readers make permanent marks on its pages. 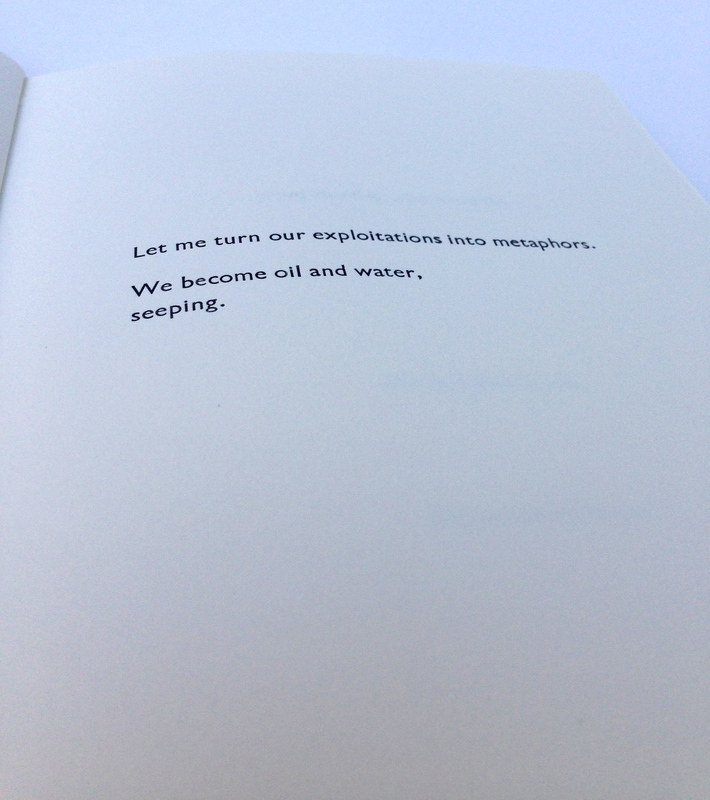 My goal is to have this realization come as a surprise, to create in the viewer a sudden awareness of their implication in both what the text speaks to and in the book object itself. 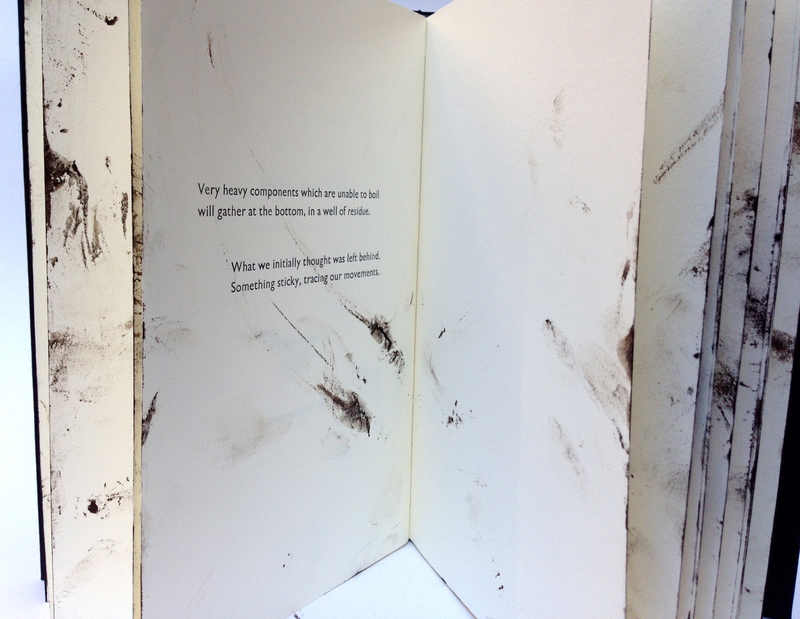 To date, one copy has been through the performance process, and is marked in pigment-based ink. 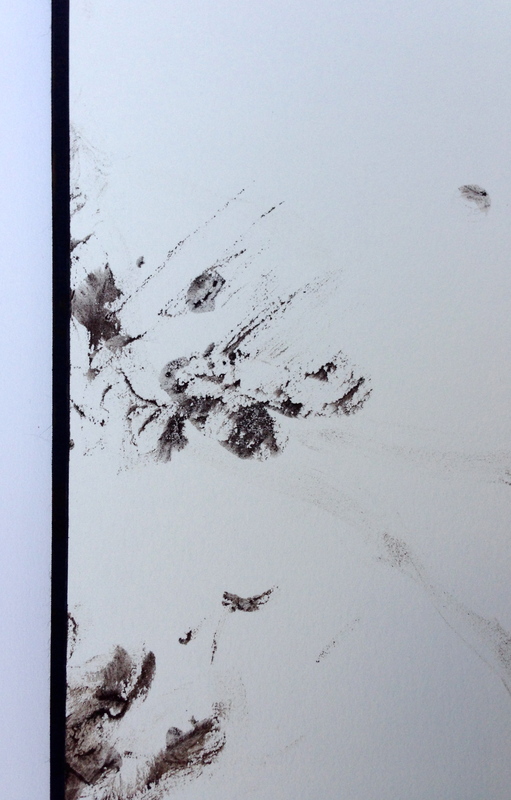 The other three copies remain clean.